A Maltese man who in 2012 gave hope to parents with autistic children, by claiming a “neurofeedback” headband he invented could help autistic youngsters, misled the public by touting false credentials as a PhD in neuroscience, The Sunday Times of Malta can reveal. 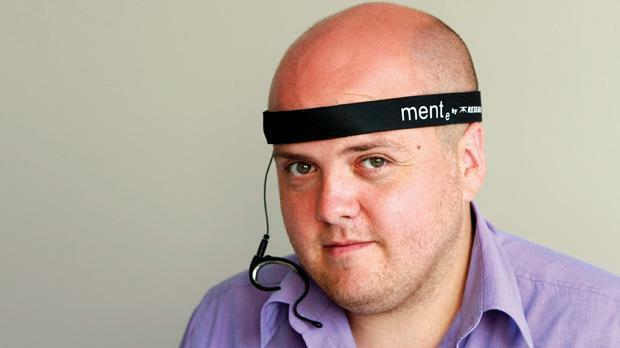 Inventor Adrian Attard Trevisan spent three years between 2012 and 2015 parading himself as having a doctorate degree in neuroscience from University College London (UCL) when he was marketing the headband, known as Mente. According to the inventor, the €1,400 Mente device uses a “neurofeedback system” that analyses brainwaves and plays back custom sounds that have calming effects on autistic children. He only obtained an actual PhD, in human physiology, from Milan University in 2015. 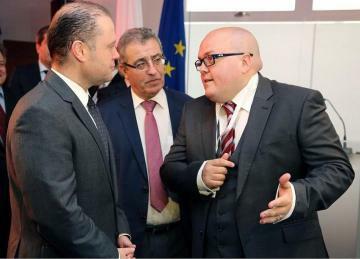 Along the way, he received flattering coverage from the media, a product launch by Prime Minister Joseph Muscat’s wife as well as an endorsement by the Prime Minister himself. Dr Attard Trevisan set up a company called AAT Research through which the device was marketed and sold. A former employee at AAT Research who spoke to The Sunday Times of Malta said it was always clear that the young inventor was out of his depth. “This guy got a lot of exposure, including by the media and your own newspaper. This gave him credibility. All this credibility was built on him presenting himself as a doctor, a PhD in neuroscience. “If you weren’t dealing with him technically on a day-to-day basis, you would not realise that he wasn’t what he was claiming to be,” the employee said. When confronted by The Sunday Times of Malta about the false PhD credentials, Dr Attard Trevisan admitted to what he termed a “mistake” that, he added, was limited to two references in articles in which he claimed to have a doctorate degree from UCL. Dr Attard Trevisan said he was hoping to finalise his PhD in the UK but a number of issues prevented him from doing so. He says he then transferred his research to Milan from where he obtained the PhD. Research by The Sunday Times of Malta shows this “mistake” was repeated on all of the inventor’s social media platforms and plenty of promotional material by AAT Research about the Mente device over the years. 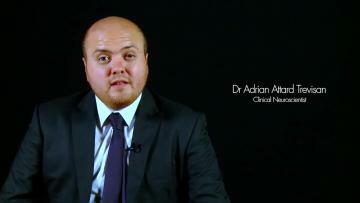 Adrian Attard Previsan presented himself as a doctor in a 2012 promotional video. This is an abridged version of the full video. References to the UCL PhD have since been removed from his social media pages. The inventor is now being sued for “plagiarising” a portion of this Milan PhD by the former AAT Research employee, who discovered chunks of his research had been passed off as that of Dr Attard Trevisan. A spokesman for UCL’s neuroscience department said that their only records for Adrian Attard Trevisan were from when he registered for a Master’s degree that was never completed. He was also registered for a PhD at the University of Bedfordshire, but this was never completed. The duplicity about the neuroscience PhD continued even after Dr Attard Trevisan obtained an actual PhD from Milan. In a blogpost uploaded by Dr Attard Trevisan’s company AAT research in 2015, it was boldly claimed the inventor had successfully defended his “second doctoral thesis” at the Milan University. Questioned about this blogpost, Dr Attard Trevisan said he had not written the blog himself. An AAT Research blogspot in 2015. Dr Attard Trevisan says since leaving AAT Research in 2016, the company went on to replicate his research results about the autism headband in an “international” study. Asked what studies were carried out to back up his claims in 2012 that the device improved autistic children’s abilities to be in touch with their environment by 500 per cent, Dr Attard Trevisan said this was tested by a questionnaire before and after using the device. Dr Attard Trevisan admitted that this was not an independent test and there was no control group to compare the results with. A parent who bought an early version of the device told The Sunday Times of Malta he had long given up using it. “I saw no difference at all in my child’s behaviour. I continued using it for a while because it became part of my son’s routine, but stopped bothering after a few months,” the parent said. Questioned what led him to tout the false PhD credentials from UCL, if not to mislead people, Dr Attard Trevisan hit back by saying it had not made any difference. “Tell me, what did I gain by this? Did I actually gain anything? I did not financially gain anything. This was a mistake. I spent a number of years at different universities and my research was published. “If it was misrepresentation to make a quick buck, I would understand. Believe me I didn’t [make a quick buck]… It would have propelled me if I was still riding on the wave of it. “When I saw a little bit of popularity coming through, I exited the company and started something new”. Dr Attard Trevisan said he made up for his “mistake” by taking his research and formalising it in a PhD from Milan. He insisted that the “misrepresentation” about the UCL PhD should not be used to destroy the research about the Mente device. Records show that AAT Research received public funding from the Malta Council for Science and Technology (MCST). Dr Attard Trevisan said AAT Research never received a penny from this as it was a commercial partnership, for research that had nothing to do with autism. The Mente device was formally launched in January 2015 by Marigold Foundation chairwoman Michelle Muscat, although it had been on sale long before then. Dr Attard Trevisan also received a ringing endorsement of his work by Prime Minister Joseph Muscat during a visit to AAT Research in 2016. “This is a person who sold everything he had in order to create and register the patents on his research which is today considered cutting edge. “In the field of autism, as well as other related fields such as depression, traditional cures are being combined with information technology by means of technology,” Dr Muscat said of the inventor’s research during a visit to AAT Research’s office in March 2016. In 2016, AAT Research was taken over by an Australian company called Neurotech. 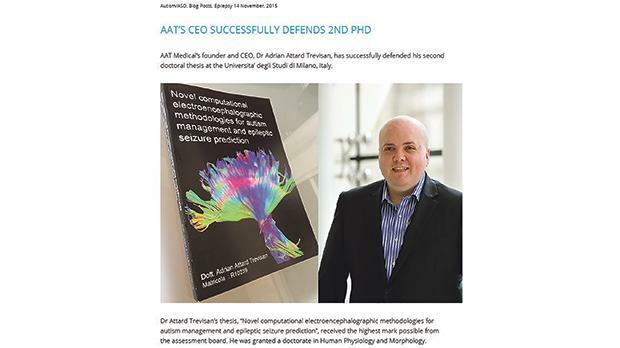 Promotional material by Neurotech from that period presents Dr Attard Trevisan as a key developer of the autism headband, with a PhD in neuroscience from UCL and PhD in human physiology from Milan. Contacted by The Sunday Times of Malta, a spokesman for Neurotech said the company had recently become aware of “some allegations against Dr Attard Trevisan”. The spokesman said he was unable to respond to questions about Dr Attard Trevisan, as they related to matters that predated Neurotech, or are about Dr Attard Trevisan personally. “At the time of listing Neurotech on the Australian Securities Exchange (ASX: NTI) all reasonable due diligence was undertaken by our lawyers and other advisors to review publications and validate the CVs of the directors at that time. “Dr Attard Trevisan has not been employed by the company in any full-time operational capacity since 2016 and in 2018 he resigned as director of the company. More recently he has been contracted as an independent advisor to provide a limited number of hours to review specific future projects that the company is considering,” the spokesman said. The Neurotech spokesman said Mente was helping autistic children to live better lives and they continue to work closely with families, clinics and the neuroscience community to further validate and improve the outcomes that Mente enables. “We also look forward to launching a new model for Mente in 2019, specifically designed to make the therapy easier to access through clinics,” the spokesman said.